Are you looking for a delicious potato recipe with a difference? If you are, you’ve found it! 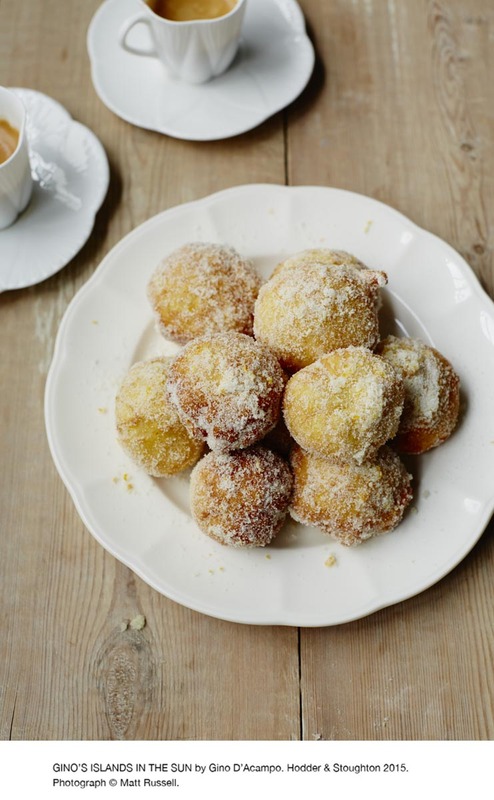 Here’s my saffron & potato doughnuts with vodka & orange for you to enjoy. 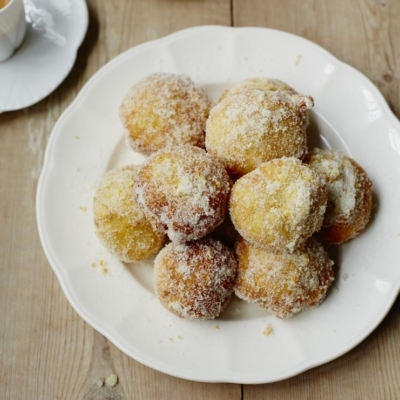 Feast your eyes on the finest saffron & potato doughnuts with vodka & orange! It’s straightforward and fun to make this great dish. Simply follow the instructions below and get the perfect result. Put the potato in a small saucepan and cover with cold salted water. Bring to the boil and simmer for 15–20 minutes or until tender. Drain well and leave for 2–3 minutes to cool slightly, then peel and pass the flesh through a potato ricer set over a plate or bowl. Alternatively, mash using a potato masher until really smooth. Spread out to cool and set aside. Heat the milk and saffron in a small saucepan over a medium heat until just simmering. Remove from the heat. Add the yeast and a pinch of the sugar and whisk until the yeast is thoroughly dissolved. Set aside for 10 minutes. Put the flour and salt in a large bowl. Make a well in the centre and add the orange juice, egg, mashed potato, milk mixture and vodka. Mix together using the handle of wooden spoon. Knead the dough on a lightly floured surface for 5–8 minutes or until soft. Add a little more flour if the dough is too sticky to handle. Shape the dough into a round and place in a large, oiled bowl. Brush a little more oil over the top. Cover with cling film and leave in a warm place for 2 hours. Dust a large tray with flour. Flour your hands and break off walnut-sized pieces of dough and roll into balls. Place the balls on the tray and cover with cling film. Leave in a warm place for 20 minutes. Meanwhile, combine the remaining sugar and orange zest in a shallow tray or on a large plate and set aside. Heat a deep-fat fryer to 160°C or heat the oil in a deep pan or wok until very hot. To test the temperature, add a tiny piece of dough; it will sizzle when the oil is hot enough for frying. Lower the dough balls into the hot oil, 4 or 5 at a time. Fry without moving for 2 minutes, then turn and fry for a further 2 minutes or until golden and crisp. Remove with a slotted spoon and drain on kitchen paper. Toss immediately in the orange-flavoured sugar. Keep warm until you have fried all the balls. 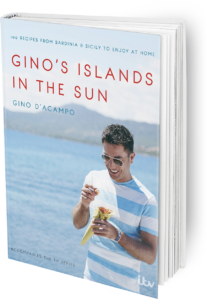 Once you’re done, simply sit back and enjoy your saffron & potato doughnuts with vodka & orange and don’t forget to check out other great authentic Italian recipes including great antipasti recipes, Italian pasta recipes, Italian soup recipes, Italian beef dishes and authentic pizza recipes.